Getting a business loan to manage cash and trade flows approved by a bank or lender can be a long and arduous process. There is often a long list of documents that you need to collect, compile and submit along with your application. Receiving an approval is a joyous day for any entrepreneur, regardless of the approved loan amount. 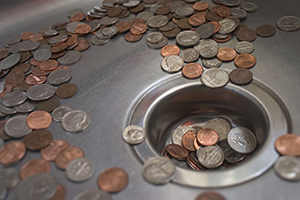 You can make the most out of your hard-earned loan by avoiding the following money wasters. Regardless of the type of advertising you opt for (i.e., print, TV, radio, online), you need to make sure that your brand’s message reaches your target market. Between traditional marketing methods and online advertising, the latter may be simpler and cheaper to implement, but it is still not free. Simply running an ad requires time, effort and money. Do your research on which publishers target your audience and learn how to run an effective online marketing campaign. Experiment with different publishers and designs. Don’t commit to any long-term contracts. New entrepreneurs (and even the most educated businessmen) fall into the trap of going big when first establishing their businesses. They pay excessive amounts of money to buy a building, rent a space, purchase new furnishings, equipment, signage and other space improvements. Startup companies often have limited budgets. There is a lot to learn and not a lot of assurances as to how successful your business will turn out. Limit any unnecessary expenses. Be scrappy. Instead of wasting your capital on a posh place and furniture, find a basic space where you can setup your business, make plans and execute your ideas. You can turn a part of your home into an office. If you do decide to rent an office space, you can save by looking for used furniture or equipment. You can find items from businesses that closed down on sites such as Craigslist. Check out garage sales if you can. Entrepreneurs who are just starting out with their businesses don’t need an unlimited data plan. According to a study by Consumer Reports, almost half of unlimited data plan subscribers use no more than 300MB of data a month. What you can do instead is to look for the right plan that matches your normal usage. The same goes for calls and SMS messages. Telephone bills can also be reduced by using voice over IP solution. Small businesses and startups spend a lot of resources in advertising their brand, products and services to generate leads. However, all that work and effort can be for naught if there is no established follow up procedure. Do not forget about your leads after the initial contact. At times, leads do not automatically become buyers. Constant contact and communication is needed to keep your brand in their mind and convert potential leads to sales. Devise a plan on how to track each lead. You may need to invest in a customer relationship management system to connect with your leads on a regular basis. Your business needs a website to tap the online market but you don’t need to spend all of your capital to get one. A lot of entrepreneurs make the mistake of investing too much on logos and branding when they first establish their businesses. Start with a template if you have a limited budget. Use WordPress if you need to set up a blog. Focus your attention on finding ways to produce content, market your brand, follow up on leads and monitor your site’s data without making a massive hole in your budget. You have worked hard on getting the capital needed to put up your business. Whether it is a bank loan, your savings or donations from family and friends, it takes time to raise money. Do not waste it on superficial aspects. Think carefully on where you plan to put your resources so you can make your business grow without the risk of going to the poorhouse while you are at it.